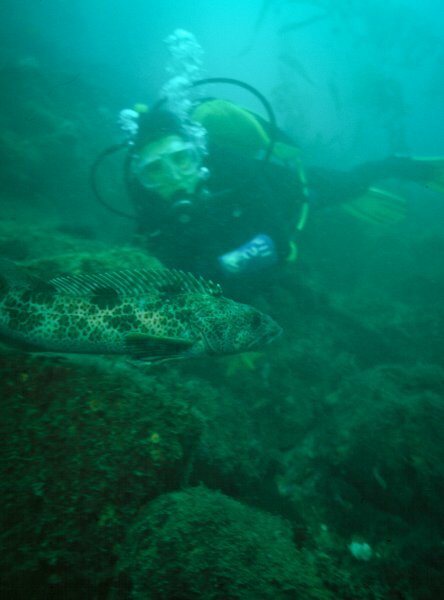 The Breakwater at Monterey Bay, California may not be the first place that springs to mind when you ruminate over the world's greatest diving but for me this was one of the best of my life. 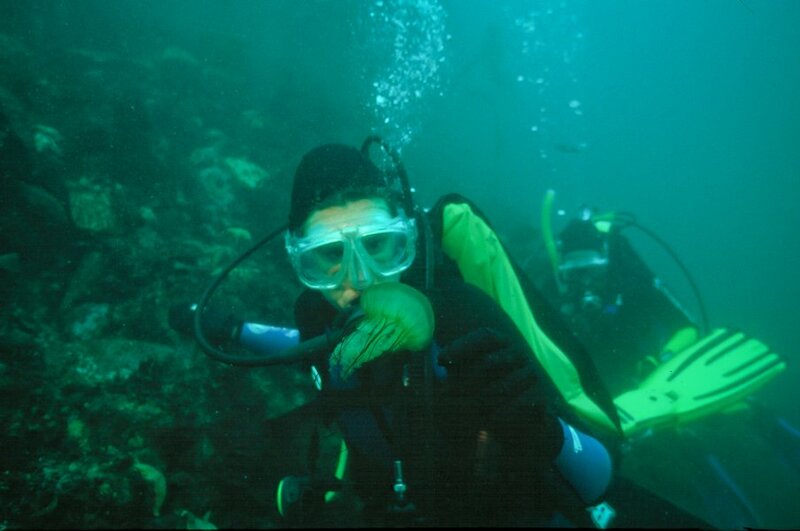 At the time I had logged only 10 dives and I was too naive to realise how lucky I was. 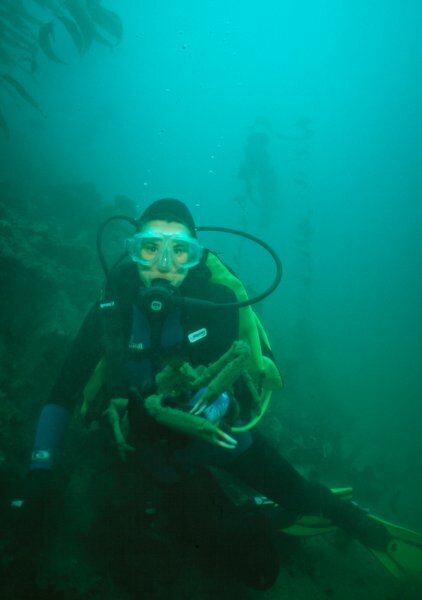 Even still, I remember screaming with joy through my regulator throughout the dive. 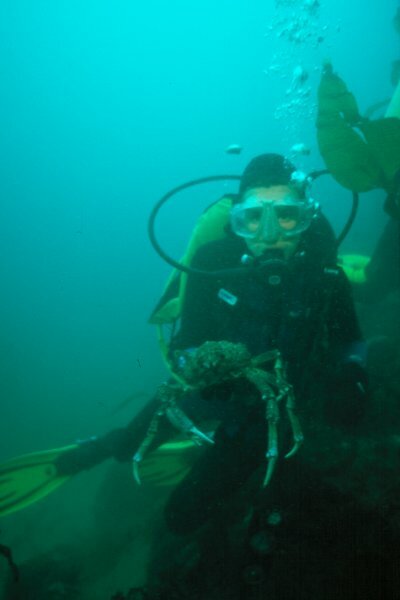 Buddy-less, I went out with a photographer from the Monterey Bay Dive Centre (a dive shop I would highly recommend) and, as we kitted up on the jetty, a stranger -- anxious to experience the site -- asked if he could join us. 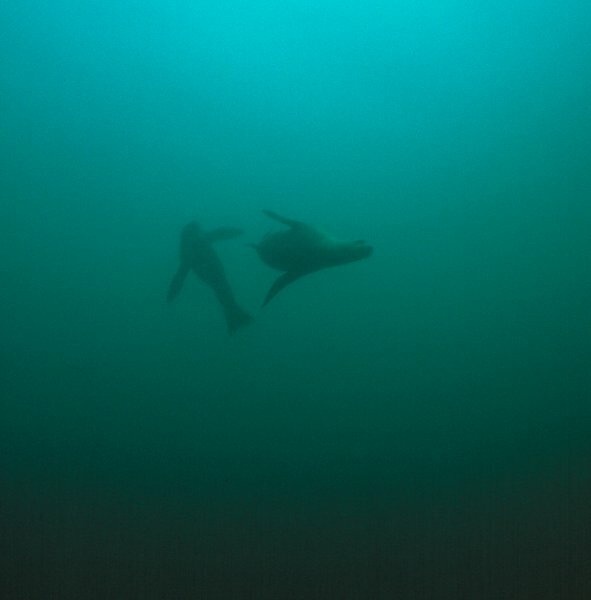 On our backs, we kicked out for about 20 minutes to reach the dive site while watching sea lions sun themselves on the rocks to our left, pods of dolphins jump and dance around the boats in the bay to our right and a sea otter twisting and wrestling with the kelp just ahead of us. We hadn't even descended yet!!! 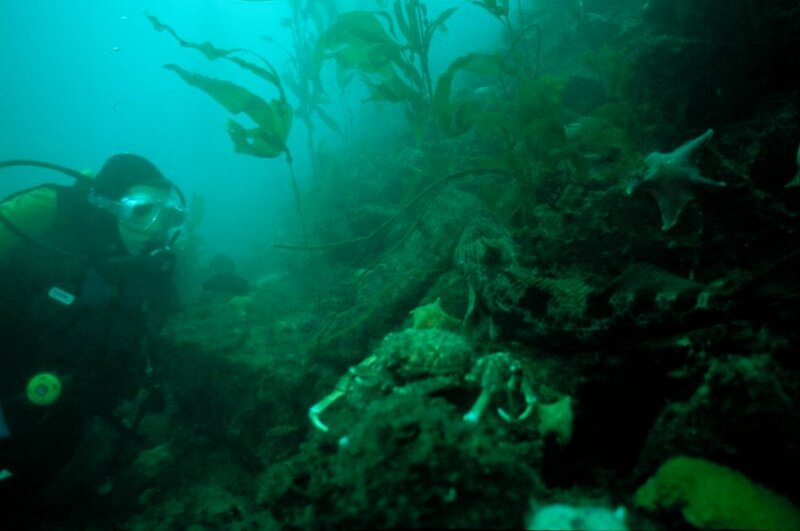 I sank down through the chilly water with the giant kelp forest (that can grow at an astonishing 2 feet per day) looming green and dark overhead, and as I sank down I realised just how rich with life the bay was. With limited buoyancy control, I needed to find a sandy spot to rest my fins and establish neutral buoyancy but there wasn't a clear patch of sand to be found. 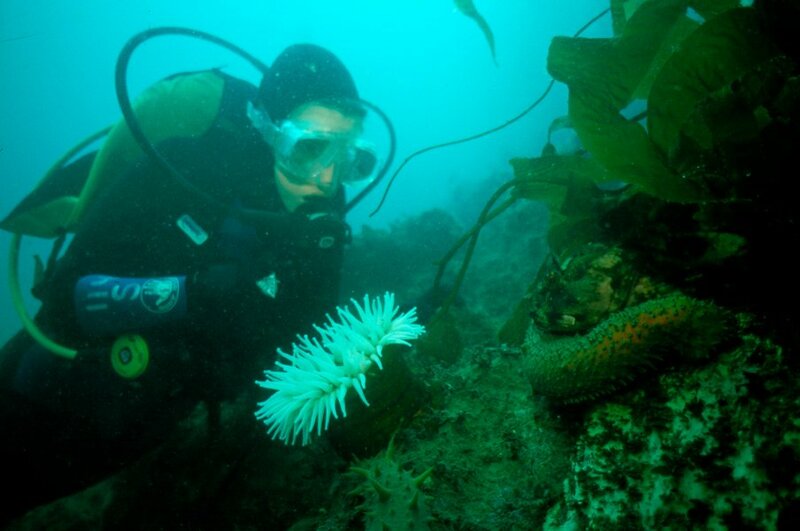 The floor was littered with coral, kelp, starfish, sand dollars, anemones and fish resting on the reef. 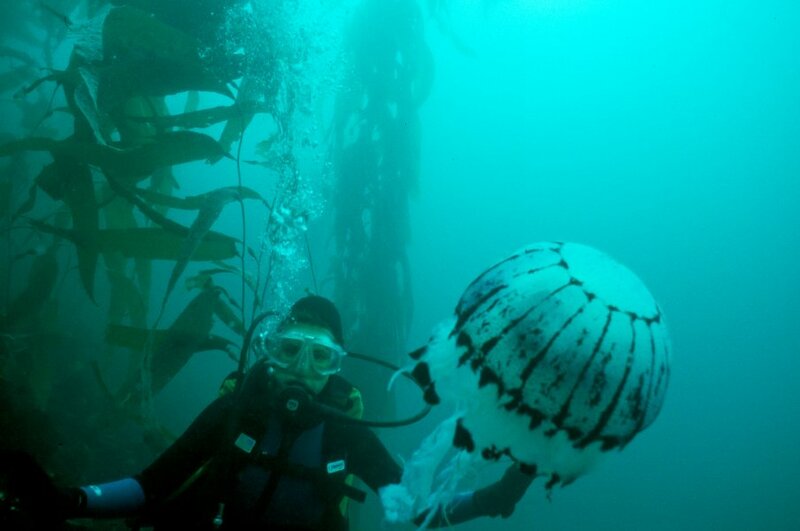 I was so busy negotiating my fins into a tiny patch of bare sand that I hadn't realised I had descended upon a purple striped jellyfish that was almost as big as me! 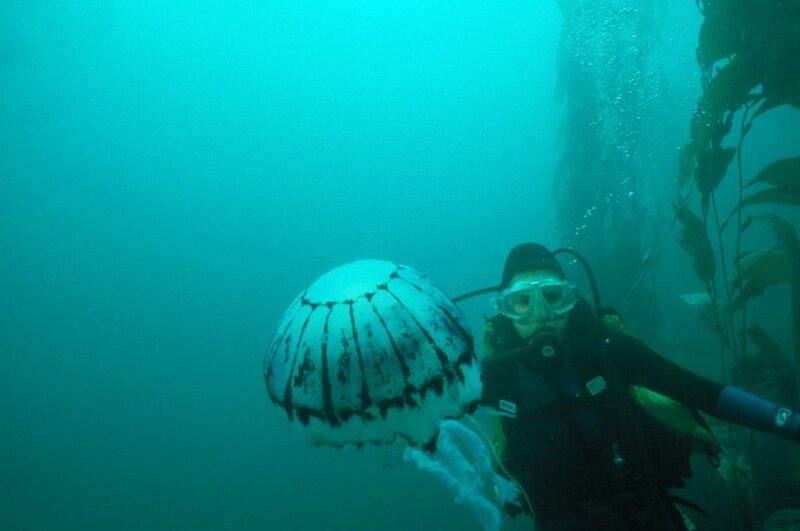 With gloved hands I lit up the bell of the jellyfish with my torch while my photographer friend captured a few shots. 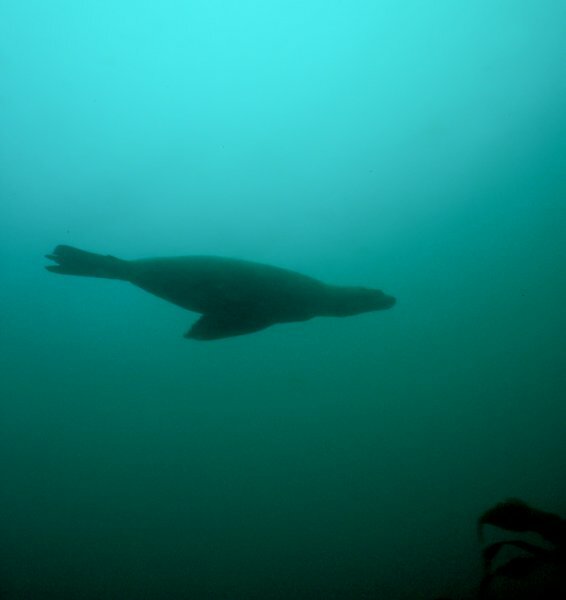 We found nudibranchs, spectacular sea cucumbers and enormous crabs that grabbed at your fingers, while sea lions danced over our heads in the sunlight. If you can brave the cold, this is a site not to be missed. But be warned, the average water temperature is 11 oC and can drop as low as 6 oC. After over an hour in the water I was trembling with the cold. 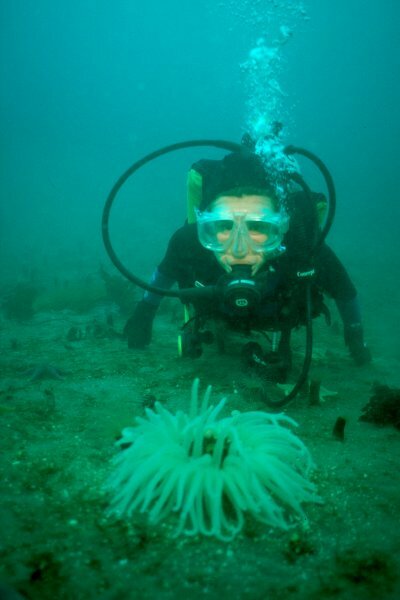 The nerves on the end of my fingers went into shock and remained numb for the week following this dive. It was totally worth it!! But wear a dry suit! !